Please read Part One or Part Two first if you haven’t already. 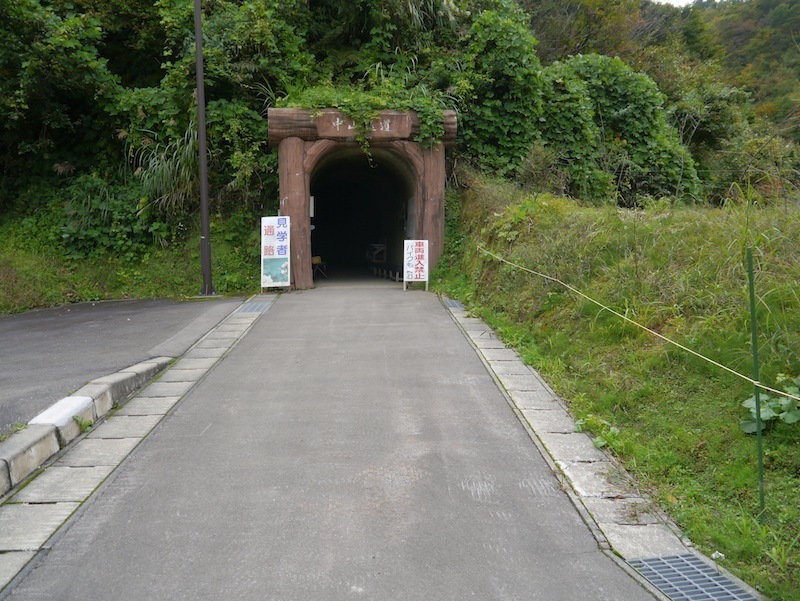 This 800m tunnel is in Komatsugura village, it was excavated through a mountain by hand in the late 1800’s by villagers and took 18 years to complete. Before this was completed the only way into the next village meant a 3km walk over the mountain. It has been preserved since then with concrete and tiles, prior to this it was clay walls shored up with wooden beams and just wide enough to allow oxen laden with provisions to pass through. There is a two-lane road tunnel that has replaced this one for many years, which runs parallel. 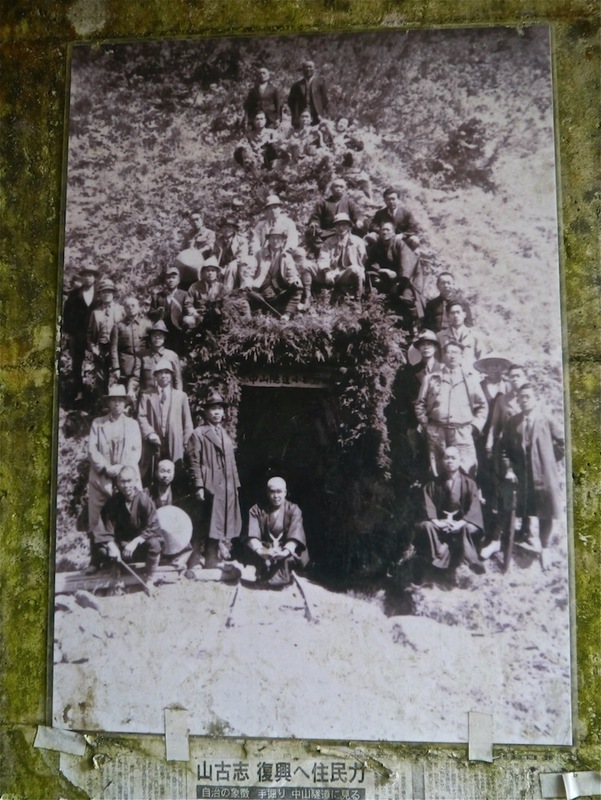 This next shot commemorates the opening of the tunnel with some of the villagers who completed it. 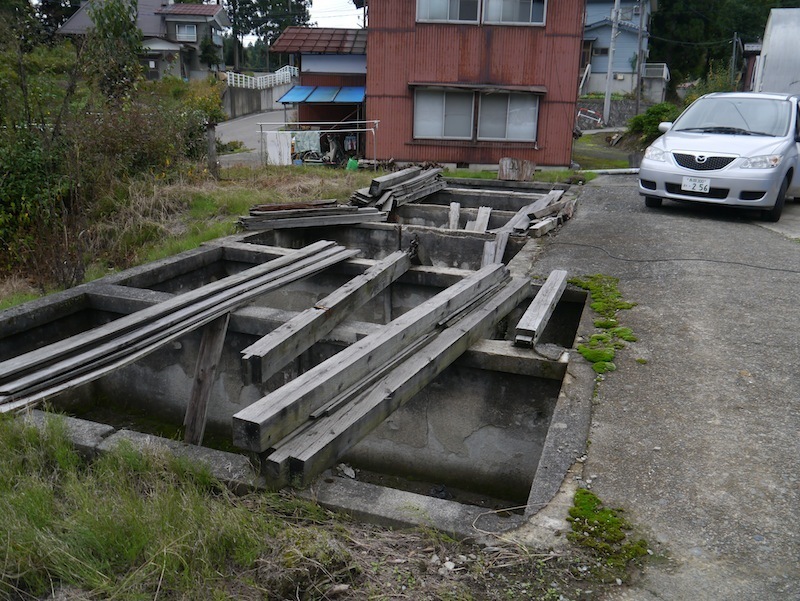 Shiyodane village was very close to the epicentre of the Chuetsu earthquake in 2004 and many concrete ponds were destroyed. 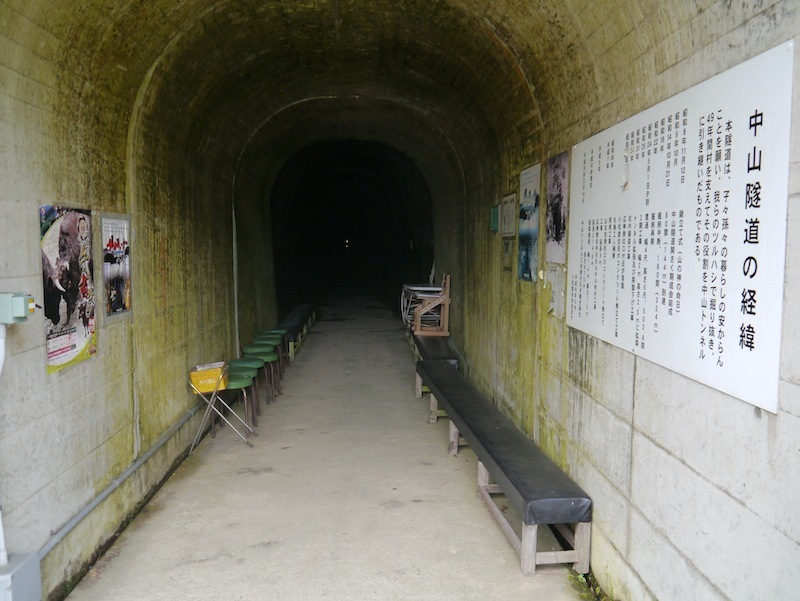 Thankfully no great damage was sustained at Kansuke in the same village. Here’s a selection of his nisai. Here’s a particularly striking female Showa bought by Marujyu in Mushigame as a future parent. On first glance it resembles ‘kanoko’ but it isn’t and nor are there ‘windows’ in the beni. 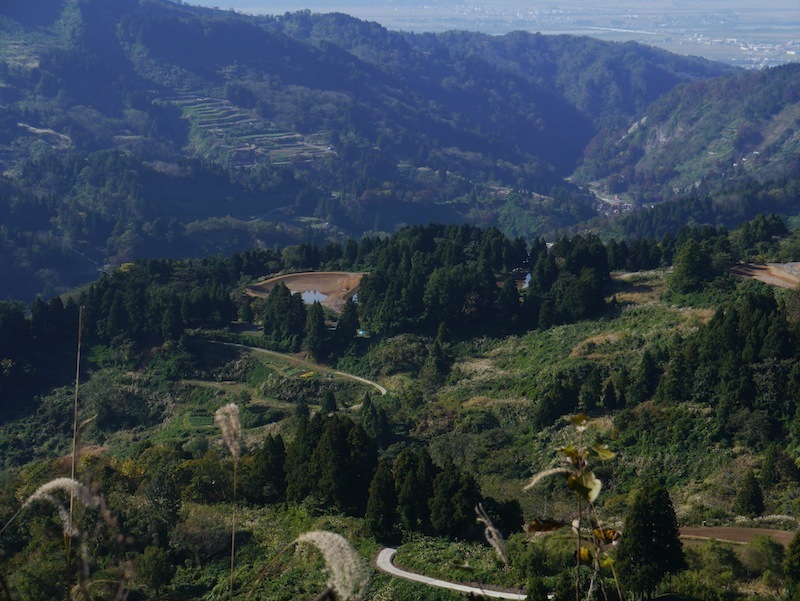 We were told it is an offspring produced from the very first Showa bred by Minoru Mano of Dainichi. The Dutch magazine ‘KOI’ will be publishing a special hardback book for the 100th. 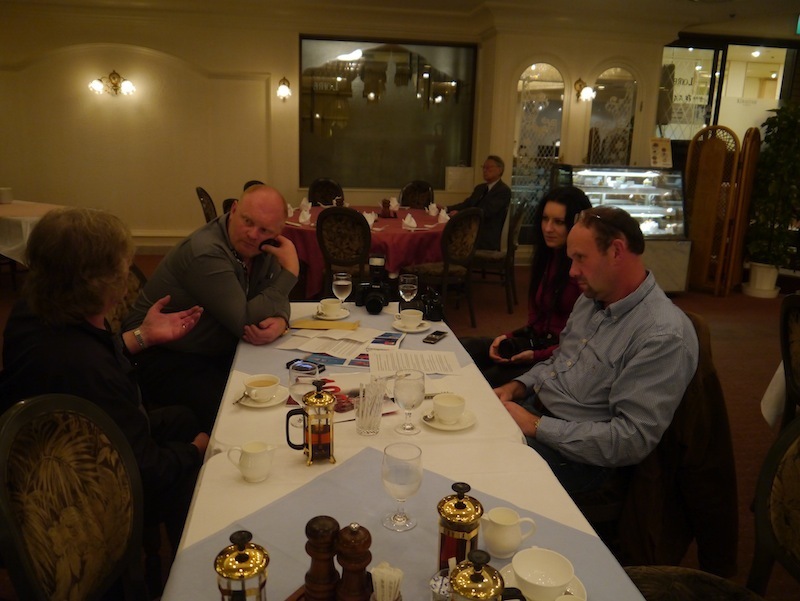 Issue and the editor Johan Leurs to my left asked if I would take time to answer a few questions regarding the early days of Koi when I first visited the area. Martin Symmonds (opposite me) and Michel Capot will also be contributing to this publication. 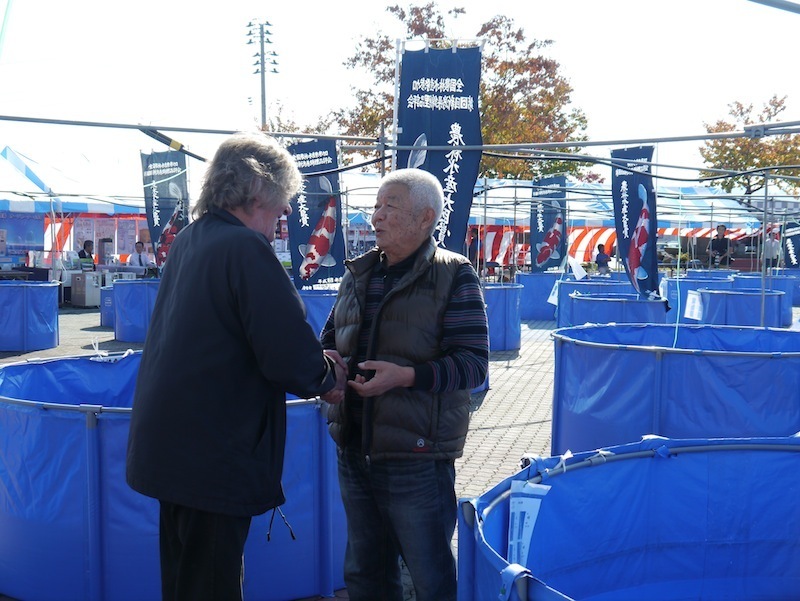 Speaking of the Dutch, these are some wonderful high quality nisai selected at Yagenji by a group of guys from Holland. Pity I couldn’t get a clearer shot of this magnificent Sanke – easily the best Koi I saw on the trip. 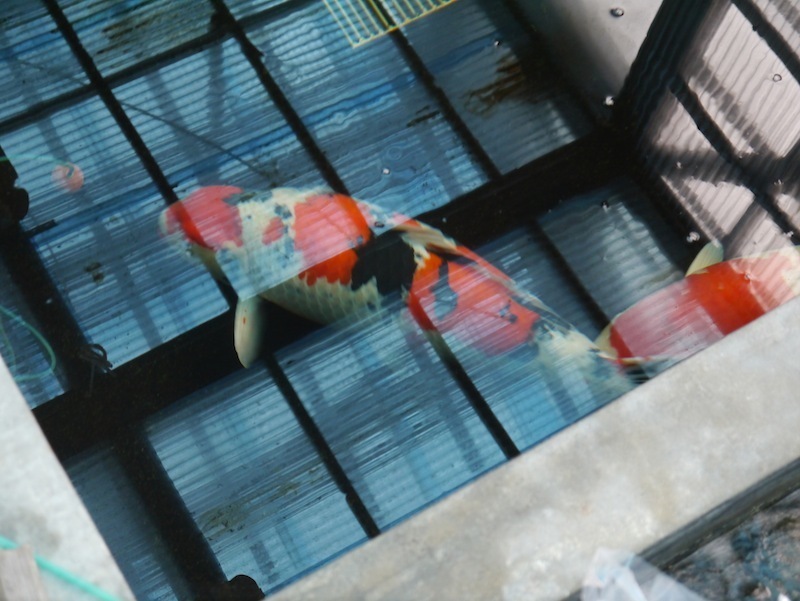 She is owned by Tsuyoshi Kawakami (Torazo) and was bought from a private collector as a female parent. He has used her for four years now, she is 12 years old and around 90cms but she still has the skin of a five-year old – wonderful! Here’s a wonderful nisai Showa that caught my attention at Isa in Ojiya. 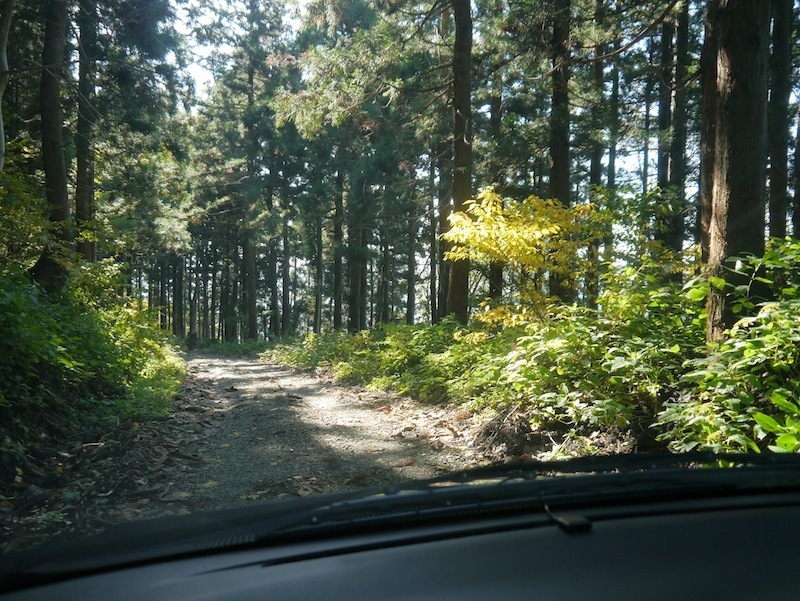 Atop the summit of the single track ‘road’ that links Mushigame to Yomogihira; in a month or so this will be closed by snow until next May. 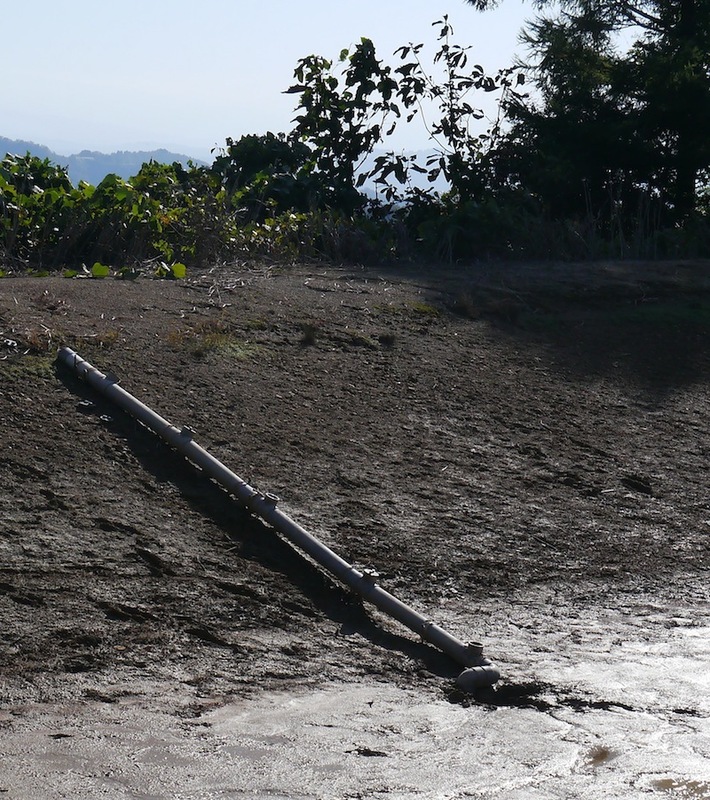 This method of gradually draining a mud pond has been used for many years but it’s a perfect way of doing it. The top of the 4” tube denotes normal water level and there are five screwed ‘stoppers’ coming down the tube at different water levels. When the top one is opened the pond drains to the next level and so on. The tube is taken below the pond base and the water drains outside the pond and down the mountainside. 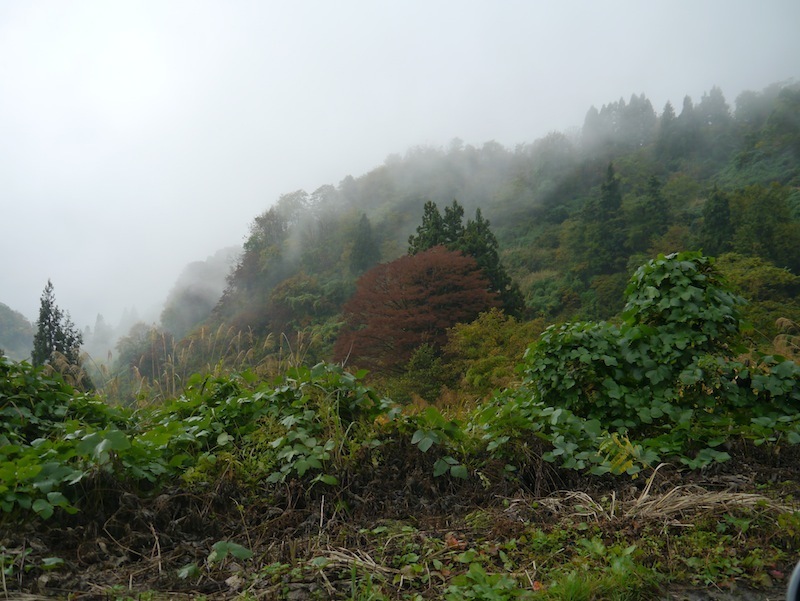 Hashino san from Tsunan village – a 50-minute drive from Ojiya, I met him once again at the No-Gyo-sai this year. 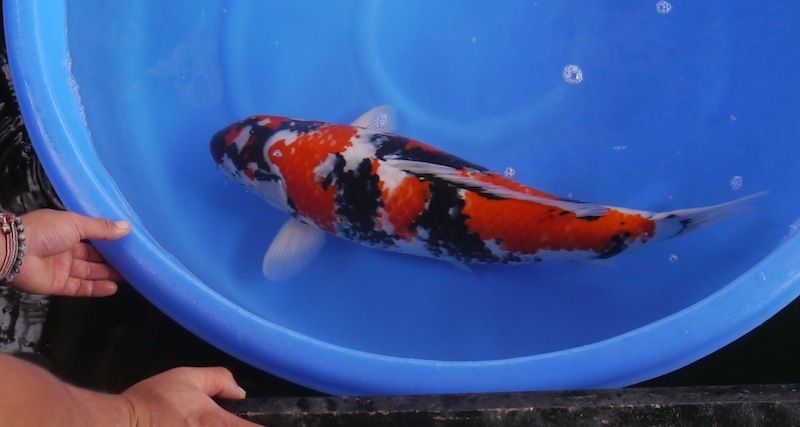 I have only bought one Koi from this breeder and it was a magnificent Showa I saw on display at the No-Gyo-Sai in 1988 when I was taking an official party of 28 BKKS members around Japan. 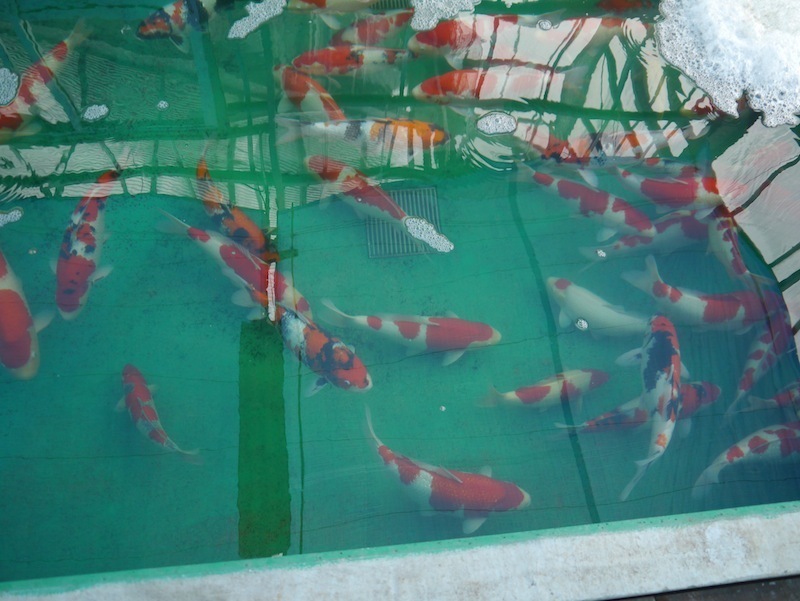 His Showa took Kokugyo award there (best Koi in size – irrespective of variety) and was produced from a spawning of his female Showa and a male Matsunosuke Sanke. 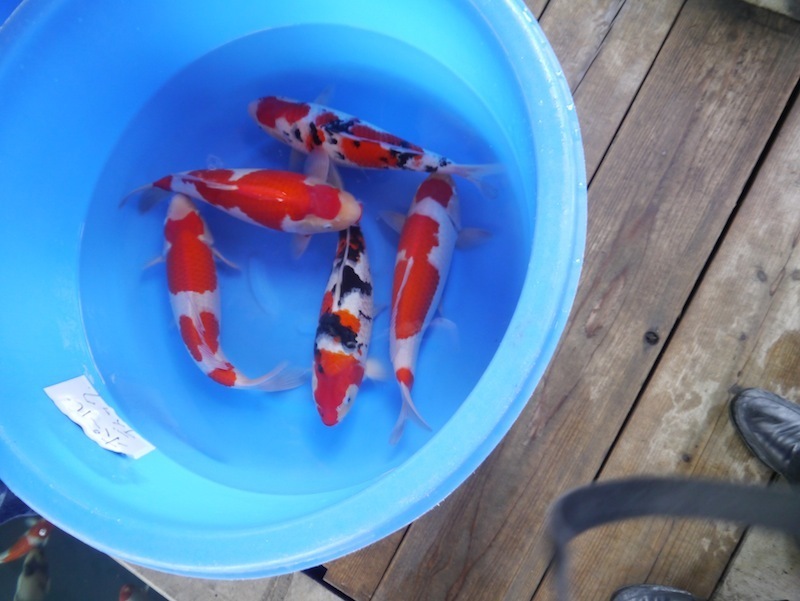 I was determined to buy the Koi and eventually I did – but it was ‘costly’ despite the fact we were getting over 600 yen to one pound in those heady days. 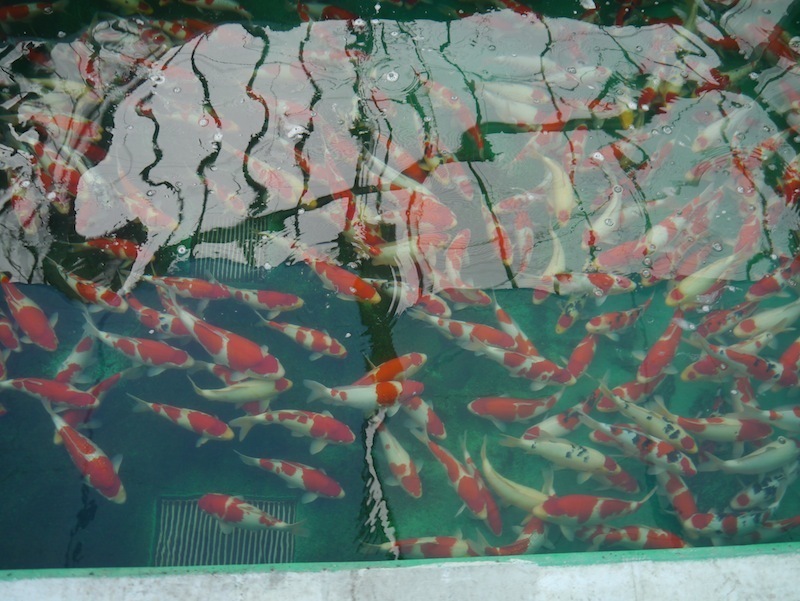 When she came back to the UK she became the talk of the UK Koi world back then, people travelled for miles just to gaze at her. The late ‘Gentleman Joe Wilmington’ bought her from me in ’89 and now, after all these years, the price I sold her for can be revealed. And the price was £28,000.00. 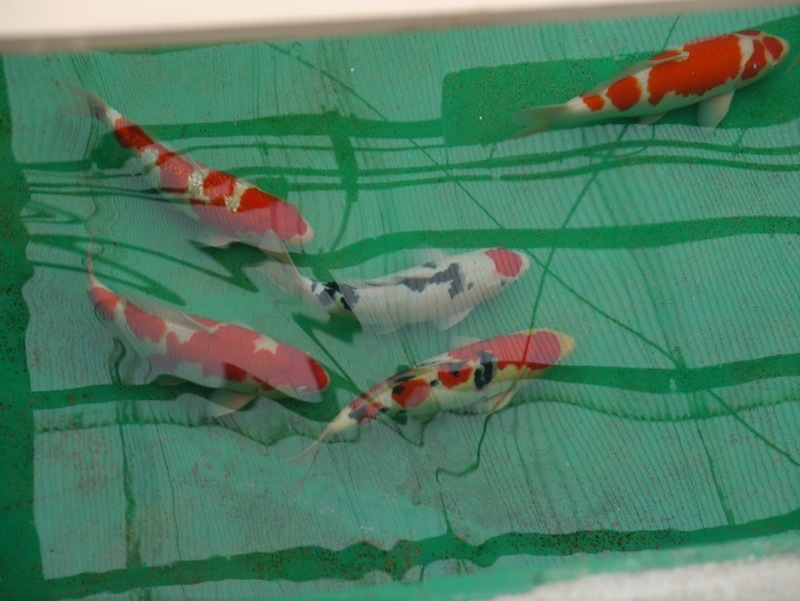 My ‘Hashino Showa’ took Supreme Champion award at the 1992 BKKS National Show!